Spoiler Alert initially started not just as a parody of, but ultimately a love letter to Super Mario. And while it has since been released on many different platforms, none are quite as fitting as Nintendo's very own Switch; finally, the Chili Pepper Knight joins the family that inspired him in the first place. 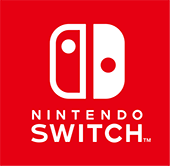 As of today, you can play the backwards platformer on your Nintendo Switch! ... Who are we kidding. It's a chili pepper. It's always hot. Okay. Get it before your neighbor, then!